For my own project I needed to create a graph based on a Delauney triangulation using NetworkX python library. And a special condition was that all the edges must be unique. Points for triangulation stored in a .shp-file. 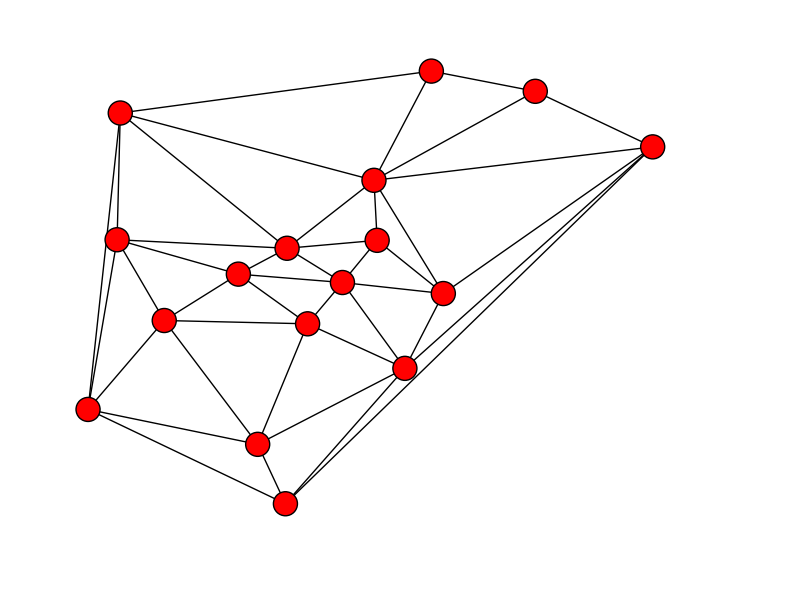 I was lucky enough to find this tread on Delauney triangulation using NetworkX graphs. I made a nice function out of it for point NetworkX graphs processing. This function preserves nodes attributes (which are lost after triangulation) and calculates lengths of the edges. It can be further improved (and most likely will be) but even at the current state it is very handy.